When Eddie Reeves' father commits suicide her life is consumed by the nagging question of why? Why when he was a legendary photographer and a brilliant teacher? Why when he had a daughter who loved him more than anyone else in the world? When she meets Culler Evans, former student of her father's and a photographer himself, an instant and dangerous attraction begins. He seems to know more about her father than she does and could possibly hold the key to the mystery surrounding his death. But Eddie's vulnerability has weakened her and Culler Evans is getting too close. Her need for the truth keeps her hanging on...but some questions should be left unanswered. 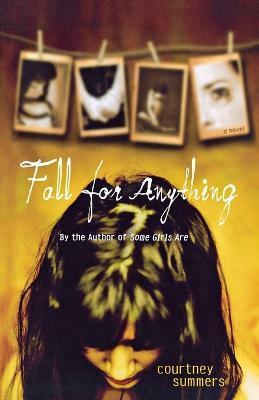 Courtney Summers is the author of young adult novels including Some Girls Are and Cracked Up to Be. She lives and writes in Canada, where she divides her time between a piano, a camera, and a word-processing program when she's not planning for the impending zombie apocalypse.